When you go to a Pilates class you want to have a good cross exercise. It’s about stretching our stiff necks and sore backs from sitting all day in the office. For others Pilates is just your cross-exercise for other sports like running, horseback riding, spinning or weight lifting. So is lungeing. 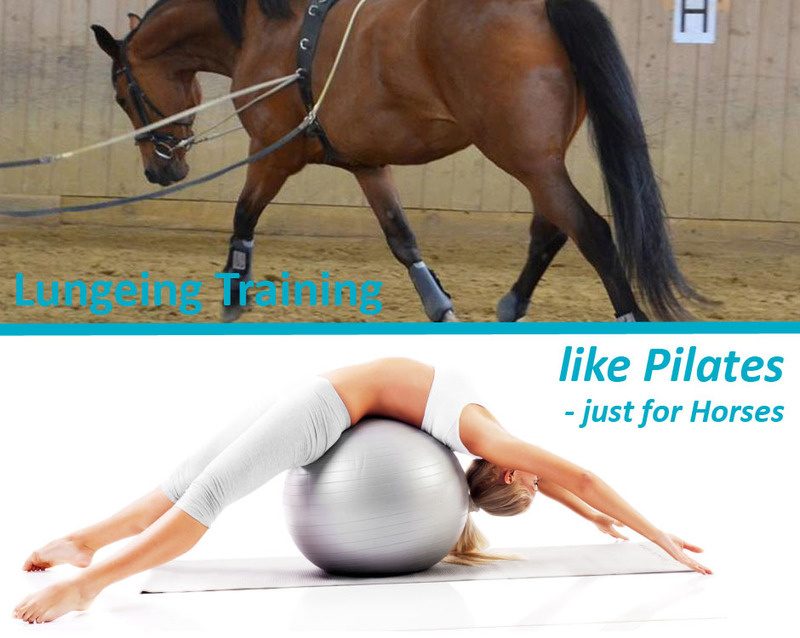 Lungeing training for horses is like Pilates for us. 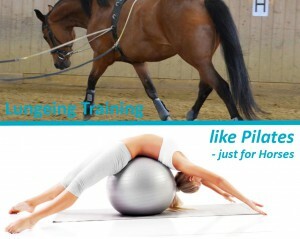 It is a cross exercise to stretches horses while they are working out. Lungeing helps our horses gymnastically stretch their long back muscle, works horses long and low, and activates their haunches and hind legs to reach further into the footprint of their front hoofs. With specific lungeing exercises you can target individual muscles and body parts.